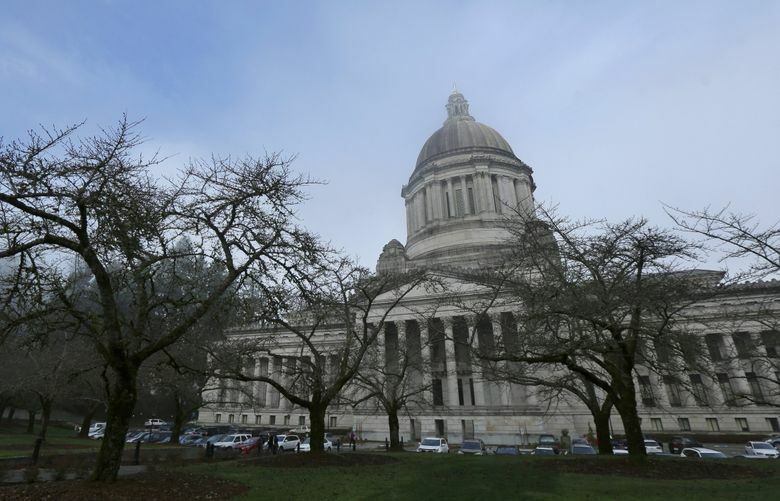 After a weeklong brawl over the Washington Legislature’s now-vetoed public-records bill, lawmakers and others Friday were still processing what lies ahead on transparency at the Capitol. OLYMPIA — After a weeklong brawl over the Washington Legislature’s now-vetoed public-records bill, lawmakers and others Friday were still processing what lies ahead on transparency at the Capitol. Gone for the moment is Senate Bill 6617, vetoed by Inslee Thursday night, which would have kept some of the Legislature’s existing records closed off and made some records going forward public. But between more court rulings and possible action by the Legislature next year, the issue likely isn’t going away soon. Inslee’s veto came as he announced that lawmakers and the news organizations that have challenged the Legislature’s longstanding public-records exemptions would try and work together to resolve their differences. That challenge, brought by news organizations — including The Associated Press and The Seattle Times — resulted in a January court ruling that found legislative leaders in violation of the The Public Records Act for denying records. The ruling is being appealed and may wind up before the State Supreme Court. On Friday, some lawmakers continued to defend the bill, while others apologized for its rushed process. Legislative leaders announced and then passed the bill within 48 hours and without public hearings or debate. As part of the understanding announced by Inslee, the news organizations among other things agreed to join lawmakers in asking Thurston County Superior Court Judge Chris Lanese to grant a stay in his January ruling. That request could come a day after the scheduled end of the session, according to Paul Lawrence, an attorney representing the Legislature in the case. “Assuming the logistics can be worked out,” that request could be presented at an already-scheduled March 9 court hearing, Lawrence wrote in an email. The understanding came together without lawmakers or the news organizations actually sitting down together, according to Michele Earl-Hubbard, an attorney for the media group. Rather, senior Inslee staffers spoke separately to each side, she said. Those efforts began as the governor talked with lawmakers while deciding whether to veto SB 6617 or let it become law, according to Earl-Hubbard. Inslee’s office on Wednesday reached out to the plaintiffs in the lawsuit with questions about arguments lawmakers were making on the need for SB 6617, she said. The conversations between the governor’s office and plaintiffs included a handful of publishers whose newspapers are represented in the lawsuit, according to Earl-Hubbard. Neither representatives from The Seattle Times nor newsroom-level journalists of any publication were part of those conversations, she said. Inslee’s office didn’t return comment on the agreement. The announcement also spelled out that lawmakers, representatives for media organizations, the governor’s office and others would pull together a task force to craft recommendations on the release of records to be considered in the 2019 legislative session. That task force would likely examine open-records proposals introduced earlier this year by Democratic and Republican House members, Fitzgibbon said, as well as SB 6617. “We still think there are good elements in that bill,” he said. Rep. Paul Graves, R-Fall City and sponsor of one of those bills, HB 2255, said he wants to be part of that process. Right now, it’s unknown who would sit on such a task force, and how much power the non-lawmakers on that panel would hold. What recommendations a task force comes up with “depends partly on who has the pen,” said Toby Nixon, president of the Washington Coalition of Open Government. Nixon added a slew of questions that remain: Would Thursday’s deal hold? Would the judge grant a stay to the ruling that lawmakers and plaintiffs are seeking? And what will a higher court say about the Thurston County judge’s ruling that state lawmakers are subject to the Public Records Act? “The broader question is still out there,” said Nixon.